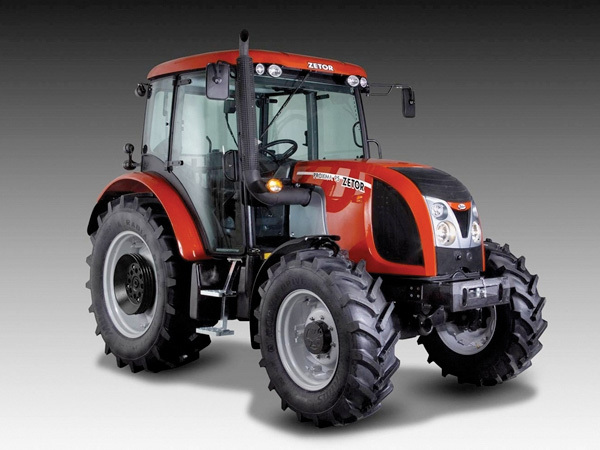 Leading tractor manufacturer Zetor has announced that it will be fitting CESAR security systems as standard to its machines for the UK market from January 2012. Commenting on the announcement Chris Harrison, Sales Director of Datatag ID Limited, the supplier of CESAR security technology, had this to say, "I'm delighted that Zetor has adopted CESAR and that many new machines will be more secure as a result. Sadly, rural crime is still on the increase, with tractor thefts up 8% year on year. CESAR is a proven deterrent against theft and an invaluable aid in recovery. I'm sure that Zetor's many customers will appreciate the benefits of CESAR security and registration including insurance premium discounts from the leading agricultural equipment insurers." CESAR, the only official equipment security and registration scheme in the UK, became the most successful and widely used scheme, of its type, in the world at the beginning of 2011 after achieving 15,000 registrations in 2010 taking the cumulative figure to 40,000. Now, just 12 months later, the number of cumulative machine registrations has topped 70,000 units, of which 32,000 machines are working in British agriculture. Launched into agriculture at Tillage 2009, after endorsement from the Agricultural Engineers Association (AEA), the distinctive triangular registration plate is now a familiar sight on British farms on machines ranging from quad bikes to telescopic handlers and tractors both large and small. Zetor has recently supplied Dorset Police with its latest tool to tackle rural crime, a 3.5 tonne Zetor Proxima tractor. The tractor in full police livery, complete with flashing blue lights, is on loan to Dorset Police from Zetor at no cost to the taxpayer. As part of Operation Countryside the tractor is being used to raise awareness of rural crime across Dorset at a range of shows and events. John Howden, Managing Director of Zetor UK Limited, comments: "Zetor UK is pleased to be part of this innovative venture launched by Dorset Police. We feel that any project aimed at saving the farming community from unnecessary costs and avoidable worries, mirrors our ethos. With this in mind, fitting CESAR as standard on all our products sold into the UK was a logical next step. CESAR is a proven deterrent against theft and an added benefit to our customers who now have the opportunity to reduce their insurance premiums because of the CESAR fitment." 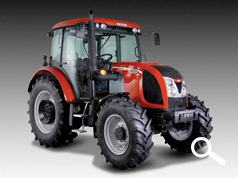 Further information, from both Zetor and CESAR, will be available to famers at the popular LAMMA agricultural equipment show (Newark Showground January 18th and 19th 2012).